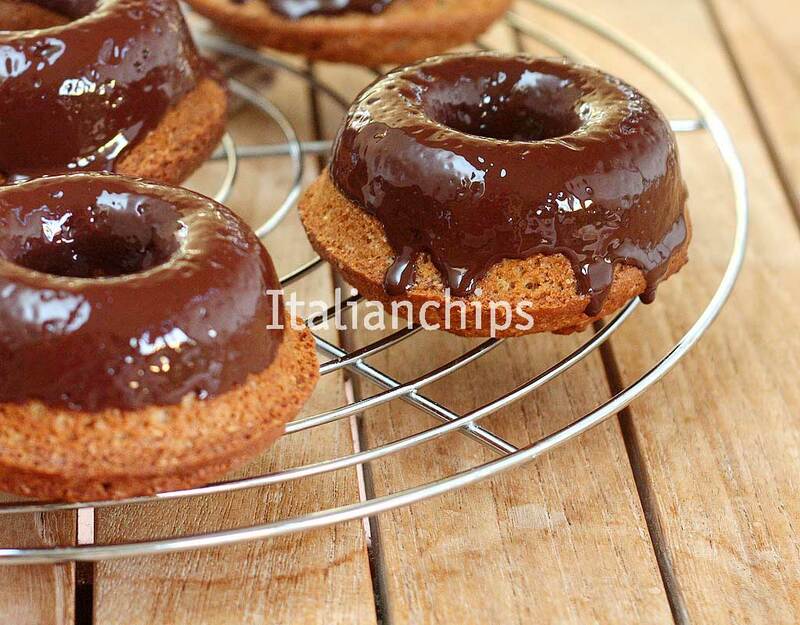 Here you have an easy and healthy donut recipe. I tried it because I was curious about, and I loved it. 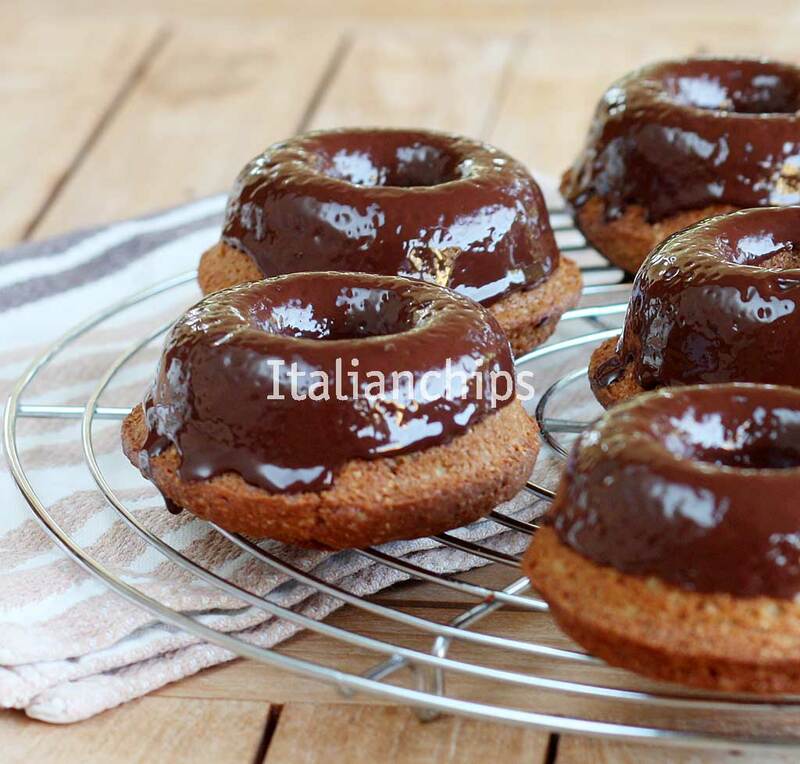 It is light and it is healthy because it is baked instead of fried, and prepared with brown sugar, ricotta cheese and whole wheat flour. 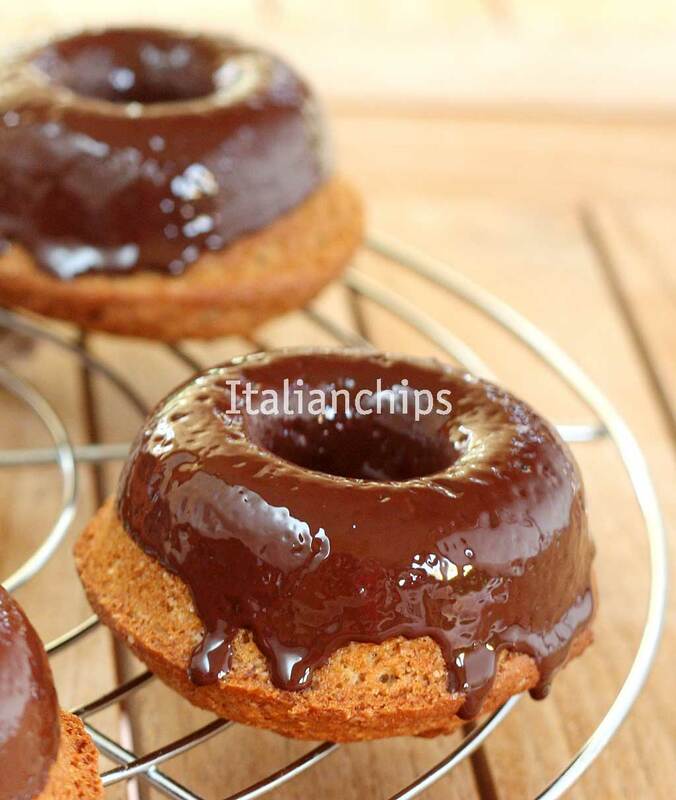 It is also easy to prepare and really fit that desire for sweet treats, especially for breakfast. But I also ate it during the afternoon with just coffee, and it matches perfectly too. Giulia Sbernini proposes junk food in a healthy version. Fantastic! I was so curious that went out searching for donuts molds. I had to visit three markets before finding them in a specialized shop, but I am sure I’d continue to search as I was so decided to prepare them. I was doubting regarding the size of the mold. There were bigger ones as seen on the original recipe, but I chose a medium size and it resulted to be the perfect portion for me. I used 72% cocoa chocolate, so no extra sugar. But it’s up to you. They may come very well too with white chocolate and you can also add chopped almonds, hazelnuts or pistachios to the melted chocolate. Grease (or use cooking spray) the donut molds. Pass the ricotta through a strainer helping yourself with a spoon or spatula. In the planetary bowl beat the eggs with the sugar. Add the ricotta and the flour and mix energetically with a wooden spoon. Pour the dough into the dough molds and bake for about 30 minutes. 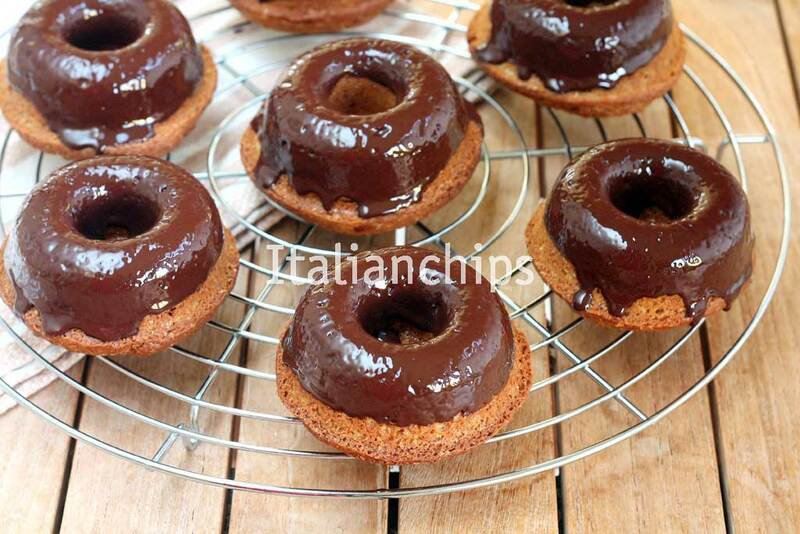 Melt the chocolate in bain marie and dip half of each donut into it and place on a cooling rack to dry.